Access Free Leadership Tools; Team Building Activities; Customer Service Ideas; Sales Management Exercises, and so much more! Receive free team building activity ideas; leadership and business planning tools; customer service and sales management tips and more! Start today and access an entire library of free, ready-to-use tools and resources. the perfect sales management tip? a fresh idea for a workshop or staff meeting? leadership assessment, self improvement programs, and other resources? Look no further. Right here is where you will find high-value leadership tools, ideas and activities. 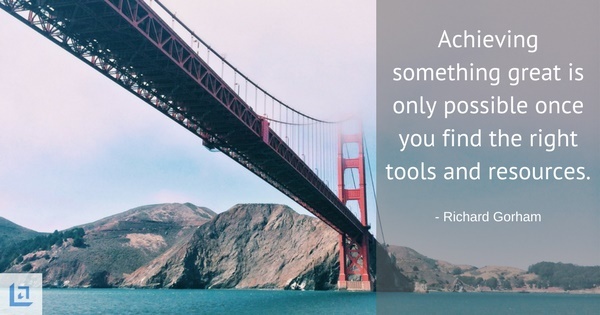 You’ll find many creative and effective tools here for your own personal use. Free for the taking! Access ALL of our free leadership tools. We provide you with an entire library of free leadership tools and resources. We love to hear feedback and suggestions from our visitors. In addition to a free team building activity or exercise idea, what else would you like to see? Please let us know and we will work hard to exceed your expectations. When you subscribe to our free monthly newsletter, Leadership Tools Monthly News, you receive immediate access to all of our free tools. "I think that this website is exceptional for the sheer amount of free and valuable information it provides to the average person who is trying to become above average!" These tools are valuable resources, providing amazing insights to effective leadership. Whether you need a free team building activity, sales meeting idea, leadership exercise or other, you'll more than likely find it here. 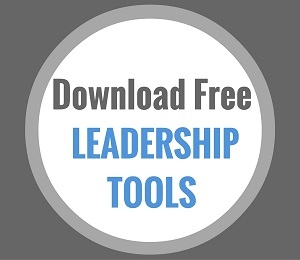 Make no mistake about it, the PDF versions of the leadership tool(s) you are about to download are available free of charge. Try them out! See if each tool is something you'd like to use with your team members. If so then for a small fee (less than $5) you may purchase a copy of the WORD or EXCEL file and customize as you wish. Below you will find links to an introductory page for each of our most popular free tools. Read a quick description of the tool and learn what other readers are saying about how it's improved their ability to lead. As soon as you have subscribed to our monthly newsletter, you will immediately receive a PASSWORD that will gain you special access to our Leadership Tools download page. With your PASSWORD in hand, simply click on the link provided here. Rest assured, you will find no other website that provides this kind of value at no cost. Whether it's a free team building activity, leadership or sales related tool, no other site delivers so much for so little to its readers. Okay, enjoy your free tools! Learn and grow to become a better leader, and most of all - have some fun in the process. Business Letter Writing Templates - Our free tool provides multiple business letter templates for your immediate use. By referencing this free tool each time you have a need, you will save time and ensure that your letter is professional and effective. "I have enjoyed the visit on your website in reference to 'how to write apology letters', as well as others letter. This is a wonderful tool to have." Business Planning Course/Ebook - Section by section, we will walk together and review what must be learned in order to start and/or improve your business. As you begin the business planning process, understand that it is an ongoing process; one that should be never-ending in order to stay ahead of ever-changing customer needs and increasing competitive challenges. "I'm amazed by how much you are offering here. As a person in the beginnings of starting my own business, this site is immeasurably valuable. Thank you so much!" Business Plan Template - Writing a business plan does take time and if done correctly it will force you to learn more about your business. That's a good thing! As the business owner, your chances of being successful improve greatly the more you know about all aspects of the business. Project Management Tool - Planning a project successfully requires a leader to be on top of every aspect. Achieve quality results using an effective project management tool. "I am a leadership training consultant tasked with conducting training for newly appointed supervisors and managers. I found your site to be loaded with useful and timely information. Thanks for allowing access to your excellent site." Leadership Assessment Tool - This tool is particularly helpful to those persons who are in the initial phases of management careers, or finding themselves struggling with multiple leadership issues with their team. "WOW! Plenty of great free tools. A treasure chest for any leader, trainer or coach." 360 Degree Leadership Feedback Tool - Receive a free 360 degree feedback leadership assessment tool that will provide invaluable insight to you and your team of leaders. "I really like the sample tool. It is simple and uncomplicated. Some 360 degree surveys are too cumbersome for a large number of employees to do and get a little intimidating. This is simple and quick." Management Development Analysis Tool - Identifying training needs for your employees requires careful scrutiny of mission objectives, personnel, production, resources, costs, and other factors. The management development training needs you identify factor into the total training budget forecast for your organization. Skip-Level Manager Review Tool - Every leader who has responsibility for more than one layer of a team or organization will benefit greatly by using the skip-level manager review process. It’s a great way to stay connected to employees within your organization who do not directly report to you, and it provides an excellent source of information that you can use to coach your manager(s) for improved performance. NEW! Total Compensation Tool - Discover what you are really being paid, including insurance benefits, perks and fringe benefits. Finally understand the full investment being made by your employer. Use this knowledge to earn more! "Been looking for the one "definitive source" for business planning, strategies, sales and similar materials - there's so much "stuff" out there. Easily distracted, I need one site to rely on for the best collection of info -- I think I just found the mother-ship! Great site, nice and professional. Will definitely be a regular visitor." Leadership Coaching Course/Ebook - The lessons presented in this leadership coaching ebook are inspired by great men and women throughout time who have eloquently shared their wisdom with the world. Their special quotes, inspiring stories and thought-provoking words of advice will soon become part of your library of resources. "As a business consultant I find your site most enlightening and enjoyable to visit. It also gives me somewhere for me to refer clients." Performance Appraisal Tool - Good leaders act as mentors to their employees. Employees will appreciate your concern and involvement in their professional growth. Make sure you maintain an "open door policy" as to encourage ongoing communication throughout the year. "It's brilliant and I'll use it again and again. Between last time I checked and now, there's so much updates. Well done." Succession Planning Tool - It's important for a business owner to ensure that there are highly qualified people in all positions, not just today, but tomorrow, next year, and years into the future. "If more people in the leadership role would use this FREE newsletter and tools, they might just become a real leader that people will notice and look up to." Employee Exit Survey Tool - Exit surveys are a terrific way to learn firsthand from those who have chosen to work elsewhere just exactly what the organization could have done better that may have increased the chances of retaining the employee. "This site is very helpful in developing my career potential and reflecting on my style as a leader." Strengths Finder Assessment Template - Identify the natural talents of your team members using StrengthsFinder 2.0, a revolutionary way of gaining personal insight into what makes each member of your team unique. Use our free StrengthsFinder template for high-value team building activity. Leadership E-Cards Tool - Use these Ecards to provide a well deserved pat on the back and/or to a team member needing a "gentle reminder". Use above link to go directly to ecards. "Excellent information for people like me working at starting their own business. Thank you for the help." Life Balance Tool - By taking just a few thoughtful moments to rate your level of satisfaction with each life category, you can quickly recognize those particular areas that need some focused attention. "Very excellent website, it has improved my confidence and promoted teamwork skills among my workmates and I enjoyed reading the template. I referred some of mates to this website. Thank you so much." Master Action Plan (M.A.P) Tool - Whenever you are determined to achieve a specific goal, draw up a success blueprint using our free tool. This process will allow you to effectively think through each task and ensure that your time is spent in the most productive manner possible. "I enjoy being able to access information immediately that will increase productivity of my team and inspire them." Goal Setting For Success Course/Ebook - At the most basic level goal setting provides a means for determining what you want out of life; how you want to spend the next 30 days, 1 year or even an entire lifetime. The Goal Setting For Success guide was created to walk you through the relatively simple steps to setting good, solid, common sense goals in each of the key categories of your life. "I find myself coming back, again and again, to read and download the valuable guides and information on this web site. Leadership Tools is one of the best sites on the internet for business and personal info." Team Building Exercises & Activities - Our free tool provides multiple team building exercises and activities that you can quickly and easily implement at your next staff meeting. By referencing this free tool each time you have an important meeting, you will save valuable time as you work to ensure that your meeting is fun, engaging and more importantly, highly productive. "Excellent! After reviewing the first two team building events, I am excited to learn about more team building events to build team pride and purpose." My Favorite Things Tool - More business owners are using personalized products as giveways for reward and recognition. Being more strategic when your reward and recognize will ensure your gesture helps to motivate the employee. "I love this stuff. It motivates and I try to pass it along to my managers and employees. Thanks a million." 10 Key Questions Tool - The ten key questions tool is a perfect exercise for any manager to place his or herself into the minds of the employees. "I have encouraged everyone that I work with to look at this website. It is a great place to get new insights on leadership tools. I love it!" Jeopardy Game Tool - Infuse fun and energy into your workplace and your team while improving their product knowledge at the same time. Financial Records Labels - Get organized using our label template for financial records. Getting organized is about more than cleaning off your desk or taking out the garbage. Organization of your finances is a critical step in reducing the amount of stress you are experiencing. Personal Financial Statement - It's time you get specific about your financial plan. Collect all your financial paperwork and lay it out on the kitchen table. Yes, all those bills and statements must now be opened so you can effectively deal with them. Don't worry, we'll be there with you every step of the way, helping you to complete a personal financial statement so you will finally have a clear picture of your current financial condition. Daily Cash Flow Template - You must be in firm control of your cash flow. No longer will you experience the shame of being charged multiple overdraft fees or receiving late notices in the mail. Using our Daily Cash Flow tool, you'll never again be surprised to learn that a bill is past due. Understanding how your money flows from day-to-day is essential to being a responsible money manager. Household Budgeting Tool - Establish a budget plan to attack your debt one credit card at a time. Eliminate stress, worry and fear by having a clear action plan for your money. Track your progress with our free personal budget spreadsheet. Discover how quickly the process of debt reduction can occur once you have a plan that is clear and actionable. Cash Envelope System Template - Cash creates clarity. It's much easier for people to spend using plastic than cold hard cash. For some reason, cash is inherently more highly valued than all those shiny credit cards. Thus, cash is harder to part with. While you may not even blink when swiping a credit card, you tend to feel the pain of spending more personally when paying with cash. You can use this force to your advantage. We will show you how to create a simple cash budget envelope system. Classic Self Growth Library - Discover the amazing history behind the American Success Movement of the late 1800's and early 1900's, which paved the way for today's most popular experts in personal and professional development. Download the most important success classics including: Self-Help by Samuel Smiles; Acres of Diamonds by Russell Cronwell; A Message To Garcia by Elbert Hubbard; The Science Of Getting Rich by Wallace Wattles; As A Man Thinketh by James Allen, The Poetical Works of Ella Wheeler Wilcox and both The Laws of Success and Think And Grow Rich by the great Napoleon Hill. Success Masterpiece - Pushing To The Front is, without a doubt, a masterpiece. This book is a must-read and should be passed down from father-to-son, mother-to-daughter, friend-to-neighbor - for inspirational words of wisdom and classic lessons in leadership. "I had thought this is just one of those hype sites where one is given diluted information, erroneously called an ebook. However, I'm stunned with this classical ebook "Pushing to the Front" that you gave me free. Nothing to say other than, I appreciate this so much. Please accept my wholehearted thanks." Subscribe today in order to learn firsthand each time a new leadership tool is added to our download page. Past issues of our newsletter are also available when you subscribe. Top leaders know the importance of staying fresh by introducing new ideas and resources to their team on a regular basis. Subscribe today for our free newsletter, The Leadership-Tools Newsletter, and gain immediate access to download our free leadership tools. Subscribe Here For Leadership Tools, Free Team Building Activity Ideas, and More! As soon as you have subscribed to our monthly newsletter, you will immediately receive a PASSWORD that will gain you special access to our FREE TOOLS DOWNLOAD PAGE. With your PASSWORD in hand, simply click on the link, provided here. Your employees look to you for leadership. Utilize our free tools and resources and let us help you be at the top of your leadership game.